The fifth new housing start this year in Tisdale is actually a four-plex located just adjacent to the RCMP headquarters. 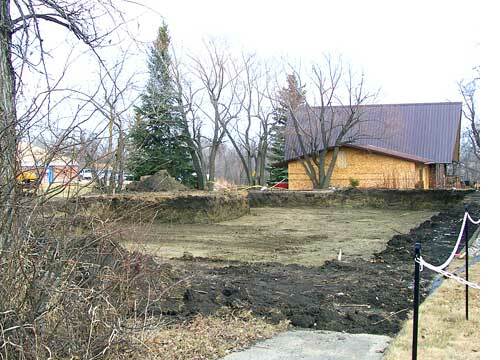 This site is just a block from the Roman Catholic church and about a hundred metres from the path along the Doghide to St. Theresa Park. Not only is this an excellent location but the setting is pleasant and in a very quiet neighbourhood. 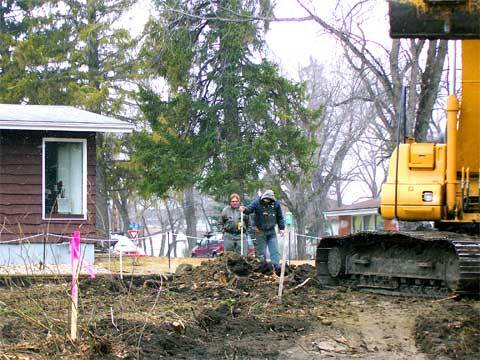 Work began on Tuesday (right) as the initial excavation was started, the lot had been cleared of an older house last fall. 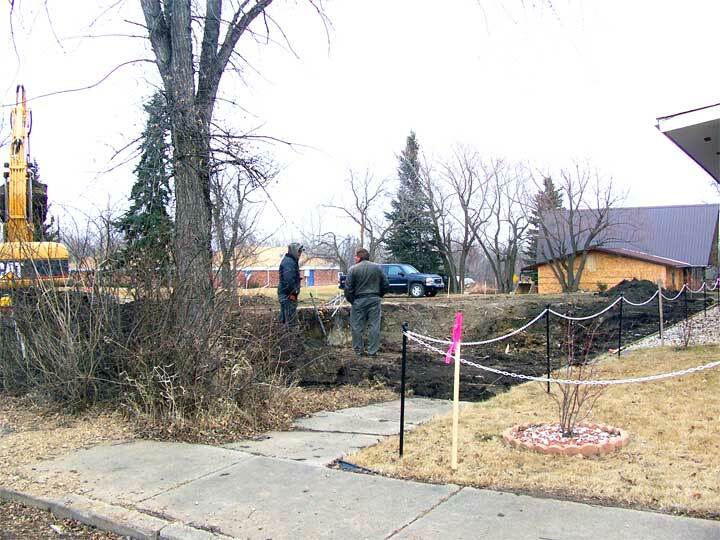 I wasn't aware of this being a four-plex and had just thought that when the foundation area was cleared on Wednesday (left) it was going to be the site of a really big house. 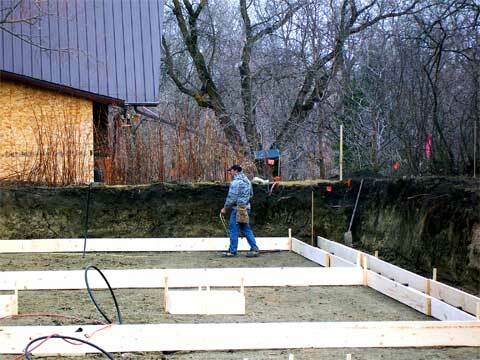 However, Thursday the forms for the foundation were being installed and it was pretty clear that this was instead the setting for a four unit condominium. As you can see Strapco Construction is the prime contractor on the project. 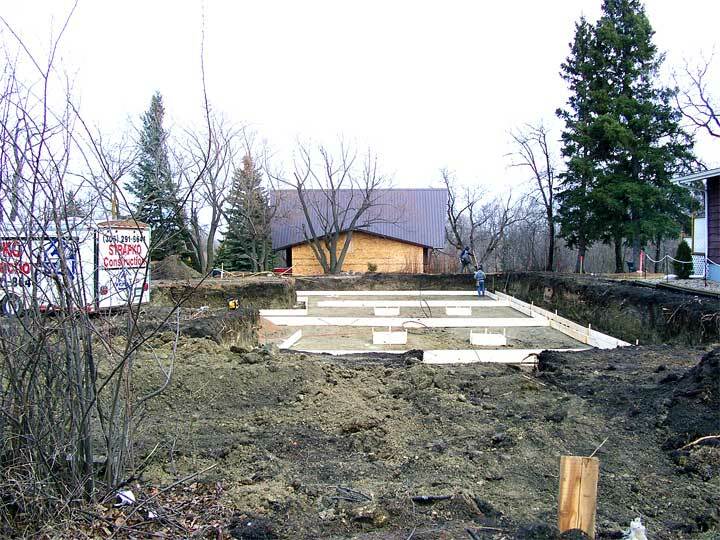 This not the only time I have been fooled but the beginning of a construction project as it has turned out that what I thought was going to be a house West of the Maple Ridge is actually a duplex and we will have some updating images of that project as it proceeds. 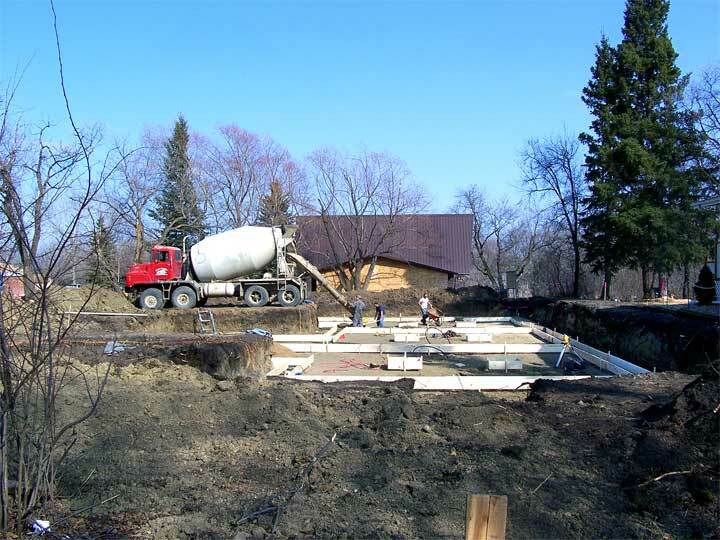 In the picture at the top of the page and the one below taken this afternoon, you can see the concrete being poured for the foundation of this new four dwelling structure. 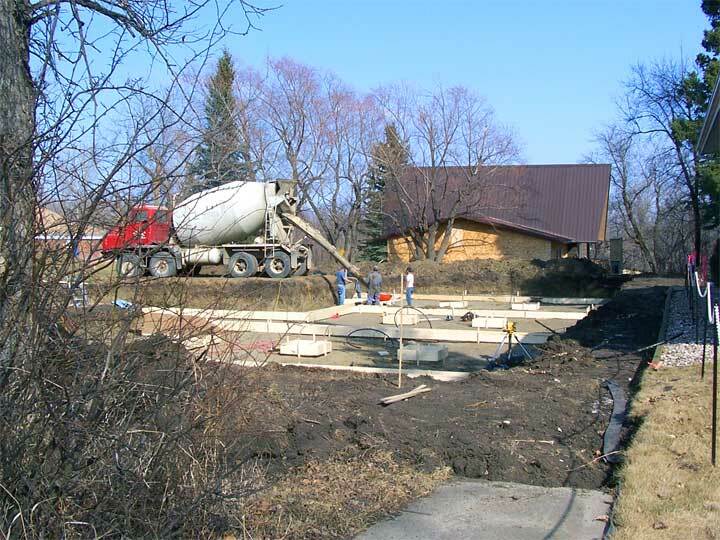 It will not have a basement but will be constructed right on the foundation.